Imports continue to increase in popularity with foreign bottled wine now accounting for 35% of the US market, according to Silicon Valley Bank’s State of the Industry Report. In 2016 Italy and Australia were the top two importers by volume, while New Zealand sauvignon blanc and French rose were the two wines that saw the largest growth in popularity. For the first time in history imported wine is now as readily available as domestic wine. As good-value bottled imports become more widely available to US consumers they have been consistently growing in popularity. Imported bottles are now more readily available in various chain retail and grocery outlets. 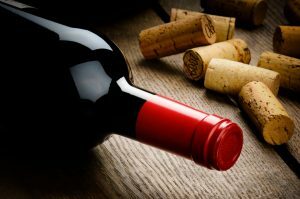 The growth of the direct shipping market and evolving laws to their effect have also attributed to the rise in popularity as it has become easier and easier for consumers to find and receive new bottles of wine. The last piece of the puzzle is the wine drinking demographic. Historically gen xers preferred US producers, whereas millennials are more open to imports and are quicker to switch labels.